Amazon recently announced its entry into pharmacy through the acquisition of PillPack, a service that delivers medications, presorted in adherence packaging, to a patient’s home. The announcement has the pharmacy profession and the pharmaceutical industry debating several questions around the deal’s impact on local pharmacies and the role of the pharmacist in this process. At last estimate, the burden of nonadherence on our healthcare system exceeded $300 billion in direct and indirect costs, with approximately 50% of patients not taking their medications as prescribed, indicating a clear opportunity to mitigate related barriers to improved adherence. While convenient access to medications certainly aids adherence, and could be facilitated by the PillPack acquisition, the deal stands to disrupt direct pharmacist-to-patient contact and the essential role of the community-based pharmacist within the healthcare continuum. Convenience of medication delivery is not a panacea for resolution of nonadherence and falls woefully short in addressing other critical aspects of addressing medication-related problems including unanticipated medication interactions, gaps in care, cost challenges, lack of patient education, lifestyle incompatibilities, and others. Rather than focusing on the PillPack acquisition by Amazon as a threat, pharmacists should consider this as an opportunity to reassess the value that they bring—the existing patient care services, tools, and technology that equip them to deliver patient-centric, personalized care. Whether employing data analytics to more efficiently identify needed interventions, adherence packaging, or medication therapy management, pharmacies can enhance their service offerings to differentiate their practices and keep patients at the center of care. Pharmacists have long differentiated themselves with patients by stepping up to help with the confusion around managing multiple medications, and monitoring health issues. 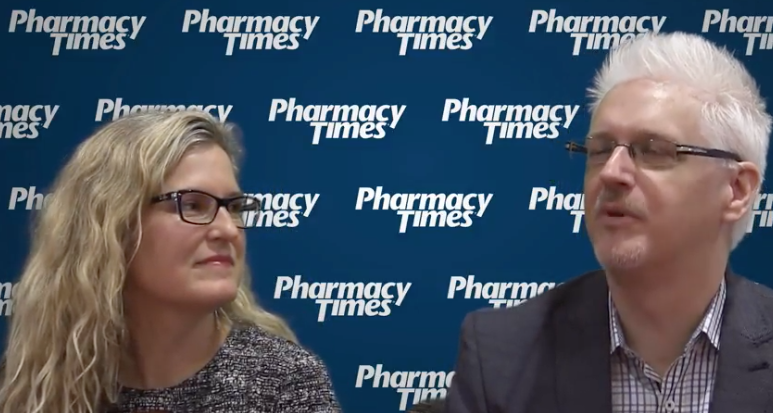 By using technology to streamline patient communications, and offering adherence tools, such as multimed blister cards, that can be customized to each patient, pharmacists can ensure they are not edged out by the online retailer. This is especially true when patients experience care transitions. From one care setting to the next, they need the pharmacist as a local resource to help ensure smooth transition, and guide them on their path to better health outcomes. Research has shown that pharmacists are specially qualified to fulfill this role, helping to address concerns, and reduce medication errors that might not always be evident. The one-size-fits-all approach that Amazon is developing circumvents the role of the local pharmacist, and is not designed to meet the individualized needs of patients with unique health concerns. As our nation’s most accessible healthcare professionals, pharmacists serve as touchstones of care in communities all across the country, offering patient-centered, personalized, and coordinated care. Emerging data-driven solutions provide pharmacists with tools they need to increase their value through targeted clinical engagement, enabling them to further improve health outcomes, reduce healthcare costs, while offering a level of patient convenience that rivals Amazon-PillPack. Centralized, actionable data specific to managing patient engagement is essential to improving care while reducing costs across the care continuum. For this reason, healthcare needs a system that not only provides convenience related to medication access—as this Amazon acquisition aims to do—but also keeps the pharmacist regularly connected to the patient to evaluate medication-related health needs on an ongoing basis, communicating as needed with patient and prescriber regarding medication adherence, potential medication changes or dosage adjustments, side effects, drug interactions, needed vaccinations, and more. The coming months will reveal changes that result from the Amazon-PillPack deal. In the meantime, pharmacists should take this as an opportunity to amplify their value to further differentiate their practices, ensuring that their role will not be diminished by this new venture. By staying connected to their patients and implementing tools that help to expand their service offerings and improve patient care, today’s pharmacists will reinforce their own essential role in the care continuum, now and in the future.